Ancora T-shirt donna nera – T-shirt raffigurante un’ ancora e la scritta “I could travel the world & the ocean blue but I’ll never be home until I’m with you”. 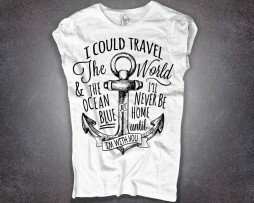 Ancora Tattoo T-shirt – T-shirt da donna nera raffigurante un’ ancora e la scritta “I could travel the world & the ocean blue but I’ll never be home until I’m with you”. 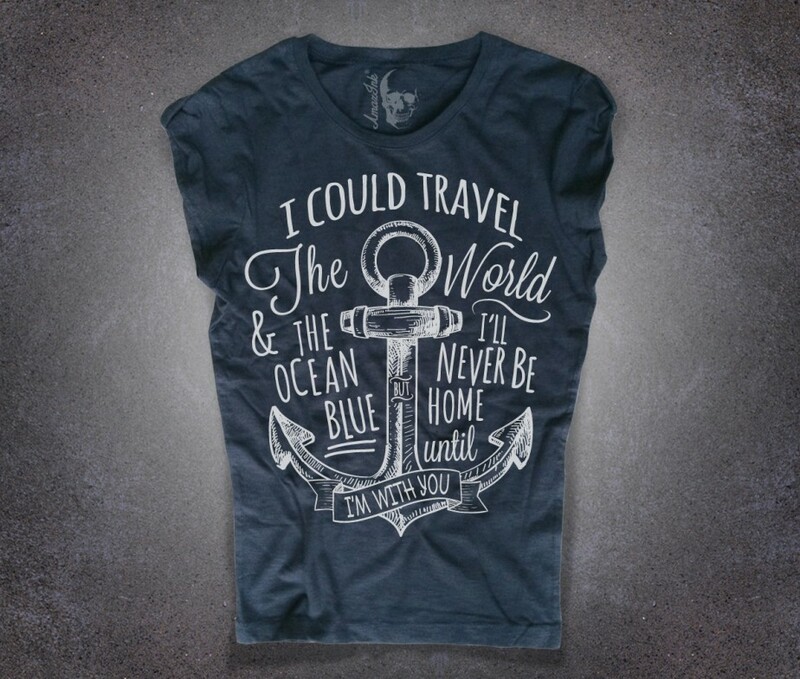 Ancora T-shirt donna bianca – T-shirt raffigurante un’ ancora e la scritta “I could travel the world & the ocean blue but I’ll never be home until I’m with you”.